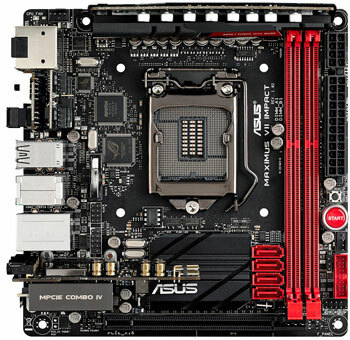 The primary focus here being Case and CPU-cooler compatibility, which ASUS have gone to great lengths to ensure. 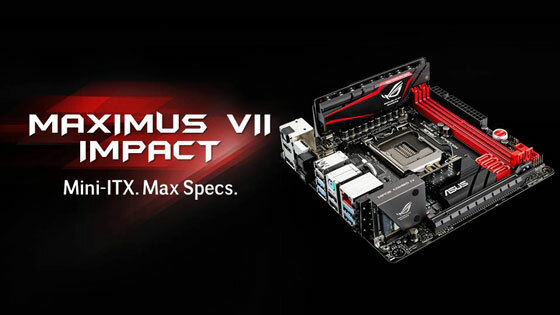 Maximus VII Impact's completely-digital power architecture is engineered with premium components to provide total control over the Fully Integrated Voltage Regulators (FIVR) found in the latest Intel® processors. Dynamic speed adjustments and intricate manual controls let you the push the processor and memory further than ever. 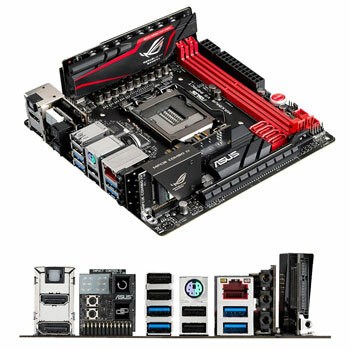 Featuring the same SupremeFX technology, the boards audio capabilities are streets ahead of other boards in the Mini ITX form factor. Another clever little gimmick is Sonic Radar - an onscreen overlay that visually represents sound activities according to their positional location. It is designed as a gaming aid for pro/am gamers, those hard of hearing or unable to use in-game audio clearly. The Impact's upgraded mPCIe Combo IV + 802.11ac / Bluetooth 4.0 module delivers unprecedented connectivity over 6 x faster than traditional PCI Express boards. Currently retailing at just £178.99 - perhaps now is definitely the time to jump across to mini ITX gaming. New AMD Ryzen and Threadripper specs leaked online! 12 Days of Black Friday! Are Gaming PC's useful for other purposes? What else can they do?! The Perfect PC for PUGB and Fortnite?